Retirement is meant to mark the golden years of your life, but for many people, can bring money troubles and stress as your income decreases. Adjusting to a new way of living can be challenging, but luckily there are plenty of simple tips and tools that can help you manage your money and thrive during retirement. The amount of state pension you’ll receive depends on your date of birth, retirement age, and how many years you have made National Insurance contributions for. State pension age is continually changing, so you’ll need to check what age you’ll be eligible to receive a pension from. The gov.uk website has a handy checker to tell you when you’ll be eligible to receive state pension – click here to access this. The maximum amount of state pension you can receive is currently £159.55 per week. It’s worth bearing in mind that this is the maximum amount you could get; the actual figure will vary depending on personal circumstances and your National Insurance contributions. To get a better idea of what you can expect to receive during retirement, use the Money Advice Service pension calculator. On top of your state pension, you may receive money from any workplace pensions you have contributed to. Workplace pensions require you to make a small salary contribution each month, which is also added to by your employer. This money is then held in a pension scheme until you’re eligible for retirement. Before 2012, not all companies were required to offer a pension scheme for employees. However, following a law change in 2012, some companies have been required to contribute to a workplace pension scheme, and from 2018, all employers must enrol their staff into a pension scheme. To find out more about the workplace pension scheme, and to make sure your employer is acting within the law, find more information here. When you’re working out your retirement income, you should take into account any other income you might receive. This could be from savings, benefits, or even from doing casual work, such as babysitting the grandkids! Once you’ve put together an idea of how much income you’re going to receive during retirement, it’s time to put together a monthly budget. Putting together a monthly budget can be tough, but it is time well spent! Take a look at our tips for making budgeting a breeze. What should you include in a monthly budget? Thinking of applying for icount? Find out how to apply for an icount current account with prepaid Mastercard®. Drawing up a monthly budget can be time-consuming, and you may feel that you’ve missed something from your list of expenses. Luckily, there are plenty of simple budgeting tools you can use. Budgeting spreadsheets can make budgeting a breeze – simply plug in your expenses and your budget will be calculated for you. Have a go at using one here. There are many free apps available for your phone to help you with your budget. Check out On Trees and Wally to see which works best for you. Make sure to check out our Money Guides for more information about managing your money. The hard work doesn’t just stop once you’ve worked out your income and expenses – you’ve got to actually stick to your budget too! This can be easier said than done, particularly if the lure of a treat or an unexpected expense arises. An icount prepaid Mastercard® can help you stay on track of your budget and manage day-to-day spending. Simply load your spending money for the week or month onto your card and use it for your day-to-day purchases. As you can’t spend more than is on your card, you don’t need to worry about dipping into costly overdrafts, and with handy text updates, you can keep track of what you’re spending. It’s never too early to start planning for your retirement, so take a look at our top tips that you can use at any age to help you save for retirement. No matter whether you’re 20 or 60, you should start saving for retirement now. Although you’ll have income from your state pension and any workplace pensions, this will still likely be less than you were earning whilst working. Having savings built for retirement will allow you to live more comfortably and make the most of your golden years. It’s recommended that you start putting money away for retirement as soon as you start earning, but even if you’ve left it much later than this, you’ll still be able to build up some savings to help you through retirement. 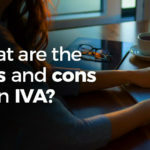 The lifetime ISA (LISA) was made available in 2017 with the aim of helping people save for retirement. You are able to save a maximum of £4,000 tax free per year in a LISA, and the government will give you 25% of what you save every year until you reach the age of 50. This could mean a huge £32,000 bonus from the government if you save the maximum amount per year from the age of 18! Workplace pensions require a contribution from both yourself and your employer. Depending on your particular workplace pension scheme, the more you contribute each month, the more your employer contributes. It’s worth contributing as much as your scheme allows to make the most of employer contributions. It’s easy to forget about old workplace pensions you were enrolled in, particularly if you change jobs frequently. Spend some time hunting down old workplace pensions you may have been part of, so you can maximise the amount of pension you receive during retirement. It’s not just retirees who should stick to a budget – budgeting at any age can help you to minimise unnecessary spending and save as much as possible. Every extra bit of savings you have can help you to live a little easier during retirement. How can our prepaid Mastercard® help during retirement? If you’re worried about budgeting during retirement, an icount prepaid Mastercard® could be a great tool for you to use. What can you use a prepaid card for? The icount prepaid Mastercard® can be used wherever you’d normally use a credit or debit card, and it is just as safe and secure. 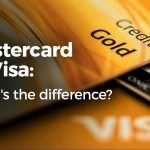 The only difference is that you won’t be able to spend any more money than you load onto the card, preventing you from overspending or dipping into an overdraft. Whether you’re shopping online, spending abroad or just want to manage your day-to-day spending, a prepaid card can provide a whole host of benefits. To find out more about the benefits of our prepaid Mastercard®, or to apply for an icount card today, visit our prepaid cards page. It’s not just your finances that need preparing for retirement; preparing emotionally for retirement is important too. Not only will you be adjusting to a new routine, you’ll also have to prepare for a change in how you live in order to stick to your budget. Luckily, there is plenty of support available for people thinking about retirement. Take a look at advice from AgeUK and Saga for more information.